�����January 28Linda O'Neal, Brenda Sanden, and Paul Carver can swap horror stories about finding a job. All three are college-educated, experienced, and qualified, in some cases overqualified, for the work they were seeking. ��� Their complaints vary. Some employers held them to higher standards than their other employees. Other employers looked at them for jobs that required only remedial skills. And some outright refused to interview them. But O'Neal, Sanden, and Carver do have one other thing in common. All three are blind. Linda O'Neal was laid off from her last job as a relay operator at Sprint about four years ago. The relay operators act as intermediaries between deaf and hearing callers. Some 300 of those operators lost their jobs when Sprint lost the California relay contract to a lower bidder. ����Within months most of the relay operators O'Neal knew had been re‑employed, including some to other positions in Sprint. It was easy for many of the relay operators to find new jobs. The economy was booming, and relay operators were smart, quick typists with good communication skills. But unlike O'Neal they weren't blind. �����O'Neal said she expected it would take awhile for her to find a job. "But I didn't expect it to take two years." She credits her Department of Rehabilitation counselor with helping her finally land a job as a customer service representative at the California State Automobile Association. �����Although relieved to find a job, O'Neal missed her previous work. As a relay operator she used a Braille display to read the information typed in by a deaf person and then would type in the hearing person's response. It was fun and different every day. She was familiar with the technology. She was confident and comfortable in the job. ����The new job was much different. O'Neal was frustrated by the technology, the difficulty of learning a new job, and a horrific commute. ����"There were a couple of times during the first year that it seemed like it was way too much," O'Neal said. "There were a couple of times I almost gave up. Had there been another job, I would have given up." O'Neal learned to use the Windows‑based software (which is hard for blind people because it is based more on graphics than text) and now enjoys the job. But her transportation problems persist. O'Neal and her guide dog Miranda commute from their Natomas apartment to Rancho Cordova by bus, light rail, and foot. If she makes great time, she gets there in an hour and twenty minutes. On a bad day the trip can be two-and-a-half hours long. O'Neal said, when she got her first job, she felt as if she had to prove herself. Work harder than anyone else because she was blind. Prove to her employer that he should have hired her. ����Even now she feels some guilt about her situation. She is grateful in a way most employees are not over the adaptive equipment her company had to purchase so that she could do her customer-service job. ����"The employer is expected to purchase any adaptive software or adaptive equipment," O'Neal said. "That to me is wrong. That employer shouldn't be expected to [provide the blind employee anything special]." ����When she was looking for a job, several companies told her that it was going to cost too much money to hire her, O'Neal said. "We can't afford that in our budget," she was told. That's why now, O'Neal explained, "I feel beholden in a sense, that they gave me a chance." ���� Davis resident Brenda Sanden has worked as a contract specialist with the U.S. Department of Agriculture's Natural Resources Conservation Service for the past eight years. ����For years before that, however, Sanden was underemployed despite an undergraduate degree from Amherst College in Massachusetts and a law degree from the University of Nebraska at Lincoln. Sanden had wanted to be an employment law attorney "because I had been so frustrated myself." But Sanden's problems were not just discrimination. Despite a good education Sanden lacked two skills blind people need to get employedshe didn't know Braille, and she couldn't travel independently. Because Sanden's blindness was caused by juvenile macular degeneration, which can be a gradual deterioration of eyesight, she was encouraged as a child to use her residual sight. As a result she said, "I learned to hide my blindness." She used magnifiers and large print to read and didn't learn Braille. �����She stayed in the same community growing up and going to college, so she learned to get around without using a cane because the environment was familiar to her. Both things changed as she got older. Her vision deteriorated, and she left Amherst. "I didn't realize how poor my vision was until I left my community," Sanden lamented, where she "had learned the layout ... so well." "I was afraid," Sanden said. She realized she had never been on her own; there had always been a family member or friend who guided her around. ����"I realized it wasn't cool to go to a job interview with someone leading you up to the employer's door," she said. When she couldn't find a job, she went on disability and found the experience "demeaning, degrading, and boring," she said. "It affects your self‑esteem." So she went to work doing the only job she could find, booking reservations for the Marriott Hotel chain, where she worked for two years. But the work wasn't challenging, and the job was a dead end, she said. ��� Sanden went to school to learn cane travel so she could become independently mobile. She also learned Braille, and although she's not great at it, she can use it for filing, making notes for herself, and keeping things organized. Sanden also decided to take the civil service test and see if she could get a job with the federal government. She reasoned that with a high enough score they would have to hire her. ��� She scored in the eightieth percentile. It qualified her for a job, but that was only part of the battle. She had to get into a department that would get her an assistant who could read for her. People also questioned her ability to do the job. "When I first was hired, there was a lot of resistance. People couldn't understand how a visually impaired or blind person could do contracting," she said. As a result she's tried to work harder and smarter. And, over the years, she's had to defend her work to skeptical co‑workers and supervisors. "I've had to prove myself harder than anyone else," she said. �� Paul Carver just wanted the chance to prove himself. The forty‑year‑old Rancho Cordova resident has been working with computers since the early 1980s. And now he assembles them, distinguishing the various components through touch. The pins allow him to tell the difference between a network card and a video card. The other components are just as easy to differentiate, except for the keyboard port and the mouse port. They're the only ones that give him trouble, except on a Compaq, where there is a small, raised picture of each over the port. Carver can feel it. ���He laughs a bit sarcastically when asked if he thought they did that to make it easier for people who couldn't see. It's the only time the affable Carver gives any indication of being jaded. There are prejudice and misconceptions about blindness, Carver said. "When a blind person walks into an interview...blindness colors the perception of what that person can do." ���When Carver, a computer engineer, was looking for a job, he registered with employment agencies. One called him back with an interview for a job. He'd never been to the agency. "Blind" doesn't appear on his resume. The guy from the agency offered to drive him to the interview so they could meet and talk. Carver agreed. When the day for the interview came, Carver stood in front of his house waiting for his ride. He heard a car go by slowly, pass him, and turn around. It came back again and stopped in front of the house. Carver walked to the door, got into the car, and introduced himself. ��� The man wouldn't start the car and drive away. "Isn't the interview in fifteen minutes," Carver asked him. The man answered him by stating the obvious: "You're blind." Carver said they spent the next forty-five minutes sitting at the curb in front of his house. The man told Carver he should have told him he was blind. "If I had told you, would you be sitting here now?" Carver asked. He answered, "No." Carver, angry, went back into his house. The next day he called the agency and told the man that he could come to his house so that he could demonstrate the technology he used and how he could do a job. And if he didn't agree to at least come and see, Carver would sue him. ��� The man showed up, and Carver spent an hour with him. The next day he called with a job interview. But Carver didn't need it; he'd already found another job. Carver has been working as an information systems analyst for the Office of Emergency Services Disaster Assistance Division for five years now. When he went to his job interview, he was escorted through a labyrinth‑like office building. Months later, when he was talking to the man that hired him, he thanked him for "giving (him) the opportunity to do the job." According to Carver, his boss said, "Well, the thing that clinched it for me was that you were the only one who interviewed for the job who could find the way out of the building without assistance." "I found that amusing," Carver said. ���� January 28It was a historic moment. One night early this year over wine and Chinese food, members of the National Federation of the Blind of California and the members of the California Council of the Blind set aside some thirty years of bickering to come together for a cause. ��� They, along with other advocacy groups for the blind, have formed the Blindness Alliance for Rehabilitation Change. The alliance is going up against what they say is a multimillion dollar bureaucracythe Department of Rehabilitation. ���� The alliance says the best way to serve the state's estimated 600,000 blind and visually impaired people is to stop lumping them in with other disabled people. Instead they recommend establishing a Commission for the Blind, an agency specifically designed to meet the needs of the blind. ����Alliance members say that about 70 percent of working age blind people are out of work despite the booming economy and the estimated $25 million a year that the Department of Rehabilitation spends on services for the blind. California's unemployment rate now hovers at about 3.2 percent. ����The Department of Rehabilitation's mission is to assist those with all types of disabilities in gaining employment and becoming independent. Critics say that, because the department isn't focused on the needs of the blind, it doesn't adequately help the blind. ��� The thirty-eight-year-old department "clearly isn't established for blind people," said Nancy Burns, president of the National Federation of the Blind of California and former counselor for the Department of Rehabilitation. ���"There are special needs and training that a blind person needs to be independent," Burns said. But the department doesn't understand that," she said, "and it isn't giving people the skills they need to be able to work." ��� Erin Treadwell, a department spokeswoman, said the department had no position on the commission and declined to comment on it. ��� The department's director, Catherine Campisi, who moved into the position last year, was unavailable to comment because of a busy schedule, Treadwell said. Treadwell did, however, elaborate on the changes under way at the Department of Rehabilitation to address some of the blind community's concerns. ����In the last six months, Treadwell said, the department hired a new deputy director of specialized service, who will oversee services to the blind and deaf. It is also reinstituting a requirement that counselors for the blind and deaf exhibit additional competency in order to serve blind and deaf clients. ���The department, which has been understaffed, has launched a nationwide search for qualified rehabilitation counselors, Treadwell added. Critics contend, however, that this is too little, too late. ��� Nationwide, an estimated 70 percent of blind people of working age are without jobs, a figure that has remained unchanged despite record low unemployment levels for the sighted population, according to statistics from the National [American] Foundation for the Blind. ����� In fiscal 1999-2000 the Department of Rehabilitation placed in jobs roughly 323 people who were blind or visually impaired, including nineteen who were self-employed. Ten people in the Sacramento district got jobs with the assistance of the Department of Rehabilitation. ��� Bryan Bashin, executive director for the Society for the Blind in Sacramento, is harshly critical of the job the Department of Rehabilitation is doing to help the blind find jobs. ��� "California really lags behind," Bashin said. "If you live in Texas and you're blind, you have seven times the chance of getting a job than if you live in California." Bashin recognizes that the department has begun to change. Still, he said, the system needs "a fundamental, structural rebuilding." �����The unemployment rate for the blind and what activists see as the failure of the department to address adequately the situation has galvanized support for a separate Commission for the Blind. The Department of Rehabilitation has "six layers of bureaucracy" between the rehabilitation counselor and the director, said Gil Johnson, director of the National Employment Program for the American Foundation for the Blind. �����By its own admission the Department of Rehabilitation is spending an estimated $25 million annually on services for the blind. It successfully meets the rehabilitation goals for 1,240 of the roughly 4,900 clients who use its services each year. Of those 1,240, about 300 are placed in jobs. �� The department's total budget is $444 million. It spends about $316 million on vocational rehabilitation. According to Johnson the department has seventy rehabilitation counselors that work with blind clients. Half of those counselors provide job services; the others work with clients on independent living skills. ���� That means an average of four to five blind people were placed in employment by each of the department's seventy counselors last year, Johnson said. The national average, he said, is fifteen. In addition the average salary of a person placed in a job through the Department of Rehabilitation is $350 a week. �� Oregon illustrates the flexibility of a commission for the blind over an all-encompassing Department of Rehabilitation. The fifty-five-staff-member commission for the blind placed 114 blind people in jobs last year, with an average weekly salary of $423. The blind population in Oregon numbers about 70,000about one-tenth California's number of blind and severely visually impaired. But the Oregon Commission for the Blind placed in jobs one-third as many as were placed by the Department of Rehabilitation. ���� Frank Synoground, assistant director of rehabilitation services for the Oregon Commission for the Blind and a former California resident, said that the commission is "more consumer-driven" than a rehabilitation agency that serves all disabilities. Four of the seven commission board members are blind, he said. The administrator of the agency serves "at the pleasure of the board," he said, rather than as a political appointee. ����Yet some critics say a small organization wouldn't be practical in a state like California because it would duplicate $25 million in administrative services that are already done by the Department of Rehabilitation. ��� Even if that's true, commission supporters argue, employed blind people would more than make up for the money. There are more than 100,000 blind people of working age in the state who aren't paying taxes and are collecting welfare, disability payments, and other forms of public assistance, said Bashin, who estimates those programs cost taxpayers $10,000 a year per person. �����Dan Kysor, director of governmental affairs for the California Council of the Blind, is supporting a bill that would set up a nine-member commissionincluding at least five blind or visually impaired membersfor the blind in California. He's enlisted the support of state Senator John Burton, who introduced SB 105, a bill to establish a Commission for the Blind and Visually Impaired. Burton said the Department of Rehabilitation "grossly under-utilized" the services of California's thirty community agencies that serve the blind. ��� �Although Kysor said he expects the majority of legislators to support the bill, he expects resistance to come from the governor's office. A spokesman for the governor had no comment on the commission bill since it was submitted only recently and hadn't been reviewed yet. ��� January 29Because of society's negative perception of blind people's abilities and because many blind people lack skills they need to worksuch as independent mobility and Braille literacyabout 70 percent of blind people of working age nationally are jobless, said Bryan Bashin, executive director of the Society for the Blind in Sacramento. That compares to an overall unemployment rate of about 3.2 percent in California. ���� As a group the blind are solid citizens, Bashin said. Many are well educated, commit few crimes, and indulge in little substance abuse, he said. �����Employers are crying for this type of worker, he saidexcept, it seems, when they are blind. Many employers won't give blind workers a chance, Bashin said. They don't believe that a blind person can do the work. But often the problem is with the blind themselves, who lack the necessary work skills because they never received proper training. ����Brenda Sanden, a Davis woman who is blind, didn't learn Braille or travel skills until she was an adult. "I had great parents," Sanden said. "But they were too protective." As a result, she said, when she became an adult, "I didn't have confidence." �����Castro Valley resident Priscilla Ching said that young blind people often lack role models and don't know that an independent life is available to them. "I didn't know successful blind people," Ching said. 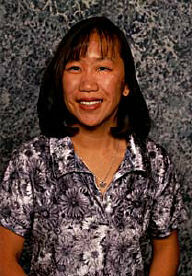 Ching, who became blind at fourteen, was encouraged to rely on what she described as "unreliable" residual vision. She didn't learn to use a cane. She also didn't learn Braille. ����The mobility issue, however, was a particular problem for the independent minded woman. She had to be led around, a situation she didn't like, but she didn't know she had a choice, she said. ���� That was until she went to the University of California, Davis, where she befriended another blind student who used the long white cane. She saw how her friend was independent and liberated. 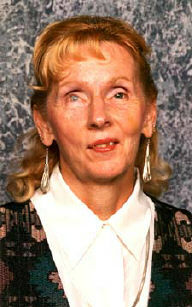 Ching decided to attend the Louisiana Center for the Blind, where she learned both Braille and cane travel. She went on to earn a master's degree in educational psychology with an emphasis in orientation and mobility. �����And she excelled at both. After completing cane-travel instruction, Ching traveled by herself to Malaysia, Singapore, and Hong Kong. She recently returned from a solo trip to Vancouver, British Columbia. At the end of January she'll head to the East Coast, traveling to Washington, D.C., and Boston. ��"Having good travel skills sets you free," Ching said. "It (the cane) allows you to do what you want to do when you want to do it." Many people like Sanden and Ching don't learn these skills as children, Bashin said. And it can severely affect their ability to get a job in adulthood. ��� Braille literacy is one of the best correlations with employment, Bashin said. Although Braille literacy among the blind is about 10 percent, the Braille literacy rate is 93 percent among blind people who are employed. ����Braille is a code of raised dots that allows the blind to read by touch. Invented in the early nineteenth century, Braille was slow to catch on. But by the 1950s, the rate of Braille literacy among the blind was around 60 percent. Then, in the 1960s, the culture changed. Braille was thought to be clunky and slow. Tape recorders and recorded speech‑‑books on tape and talking computers‑‑were the future. �� "Mechanical speech meant the death of Braille," Bashin said, even though mechanical speech is inappropriate for many tasks. Hearing is not the same as reading, even when the reading is done with the fingers instead of the eyes. �� Try, for instance, following a recipe after only hearing the directions. What about hearing a mathematical formula? Or a list of inventory items? But speech replaced Braille first in recordings and then with computers, and the Braille literacy rate dropped to where it is today, around 10 percent. ����Mechanical speech wasn't the only thing that killed Braille, said Nancy Burns, president of the National Federation of the Blind of California. The educational policies of the 1960s and 1970s also hurt. It used to be that blind people were sent away to residential schools, where they learned "daily living skills," how to get around independently and live as a blind person, in addition to academic subjects, Burns said. ����And, most important, they learned to read Braille. In the 1960s and 1970s, however, the movement began to keep blind children in their communities. Although this kept children with their families, which was a good thing, she said, they didn't get good training in Braille and travel skills in public schools. �� For one thing there weren't enough teachers who specialized in teaching skills to the blind. If a school had only two or three blind children, the school couldn't have a full-time instructor for them, so the job was turned over to itinerant teachers. �� That's still the way it's done today, she said. In Victorville, for example, the instructor who teaches Braille to blind children is there only two hours a week. The result is illiterate young adults, Burns said. They can't go to work, she said, because they can't read and write. ����January 29Technology has made it possible for blind people to do all kinds of work. By using optical equipment that raises images on paper and software that reads e‑mail messages aloud, the blind can serve as call center operators, computer programmers, attorneys, and even astrophysicists. However, that hasn't translated to more of the 600,000 blind people in California finding employment. "With technology, we thought we would see a great upsurge in employment for blind people," said Catherine Skivers, president of the California Council of the Blind. Instead, she said, many employers either don't know the technology exists or don't want to believe it can be used by blind people to be effective on the job. 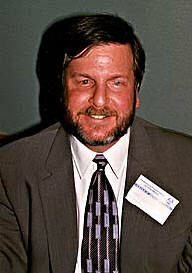 Kent Cullers, who is blind, is director of research and development for the SETI Institute in Mountainview. SETI, which is an acronym for "search for extraterrestrial intelligence," was formerly a NASA program and is now a private company. It's most famous for the project that listens for radio signals from space that may be deliberate or inadvertent transmissions from other planets. ���Cullers, who is in his early fifties, describes himself as a "child of high tech." 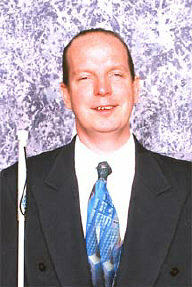 He has always tried to be at the forefront of using technology for the blind. He used an Optacon camera that scanned a page and produced the image with raised pins, allowing a blind person to feel what a photo or text looked like. "I proofed my Ph.D. thesis on a gadget like that, one letter at a time," Cullers said. ��� Since then the technology has advanced and has made it much easier for blind people to interact with the sighted world. Humanware, a company located in Loomis, produces and sells state‑of‑the‑art adaptive equipment for the blind. Al Puzzuoli, a blind employee at Humanware who is a specialist in products for the blind, found a number of items to assist him in his sales job. One was software that read off his e‑mail messages in a synthesized voice. Puzzuoli listened to them at the rate of 500 words per minuteabout five times faster than average speech and incomprehensible to all but the blind people in the room. ����"I have speech going at a pretty good rate," Puzzuoli said, explaining that through practice most blind people can discern speech at a faster rate. It's really a necessity, Puzzuoli said, since speech is slower than reading. Puzzuoli used another item to scan his mail. He could then choose to have it read aloud to him, again at a 500‑word speed. Other items at Puzzuoli's disposal were Braille writers that allowed him to type text into a computer and then print it out in Braille to proofread or to send off to a blind person. ����In most jobs, "with the right adaptive equipment," said Humanware President Jim Halliday, "a blind person could be as productive" as a sighted person. The problem, Halliday said, is to get the employer over the initial reluctance to hire a blind person. Some employers don't know how far the adaptive equipment has come. Sometimes they fear that it will be too expensive. Some equipment is very costly. A Braille display, for example, may cost $10,000. But the employee may be able to get by with a speech display, which is $1,000. "You're selling the employer not on the technology," Halliday said, "but on the blind person being able to do the job." �� Some blind people were doing their jobs before computer technology and many of the advances in adaptive equipment became available. Ralph Black, for instance, is one. Black, the general counsel for the chancellor's office of the California Community Colleges, started working as an attorney there in 1980. Adaptive equipment, Black said, "has certainly made my job easier." But more than that, he said, it has allowed him to stay competitive and "operate in the same environment everyone else is operating in." His employer has been quite generous in providing equipment, Black said. ���He has a scanner that allows him to scan and read documents and a Braille printer to produce Braille documents for meetings. He has a small notetaker that uses speech and Braille output. And his computer has speech output and a Braille display. Some blind people worry that employers will be reluctant to hire them because they might assume the Americans with Disabilities Act will obligate them to provide expensive adaptive equipment. But that is not the case, said Erin Treadwell, spokeswoman for the Department of Rehabilitation. ���The "expertise is out there" to design a way for employees to do jobs with sometimes very inexpensive adaptive equipment, Treadwell said. She admitted the ADA has scared away some employers who fear that hiring a blind person opens them up to lawsuits and "special treatment." But the cost of adaptive technology shouldn't be used against blind people, Treadwell said. �� "All of those concerns can be addressed, removed, or mitigated," Treadwell said. "It's just having an employer with the guts to give it a try." ��� January 29More than sixty-five years after it was approved by Congress, the federal act that established a program to recruit and train the blind to operate vending services in government buildings is coming under attack. ��� Critics have argued that the Business Enterprise Program makes a few vendors wealthy while others scrape by and that it spends too much money to benefit too few blind people. ����According to the American Foundation for the Blind, the state Department of Rehabilitation spent about $8 million to $10 million in the last fiscal year on the program. The money goes toward recruiting and training vendors, helping them purchase inventory, and other administrative costs. ��� However, only nine new vendors were set up during that time, according to the American Foundation for the Blind. Seven vending locations closed. Others criticize the program as socialism for the blind. The BEP vendors own and operate snack stands, coffee bars, cafeterias, and vending machine operations throughout the state. The vendors aren't really independent, critics say, but operate under a paternalistic program, a relic from the days when blind people had to be taken care of. �� Joni Patche, who is blind, used to be one of the naysayers. She had planned to be a college graduate and go on to a career as a translator. She remembers passing the blind vendors as she commuted on the subway in her hometown of Boston and feeling as if she could do better. ���Now Patche is one of the 155 vendors in California's BEP program. It's not welfare at all, Patche said. "It's hard work." No one would work this hard for welfare. Patche is at Joni's Java Junction, a snack bar and coffee shop located in the Department of Rehabilitation building in Sacramento, every weekday from 5:30 a.m. until 3:30 p.m.
���Even on weekends, when the shop is closed, Patche comes in to check on things. She started in 1983 with $1,700 in inventory. She now has about $17,000 in inventory and several employees. Patche's husband Paul is also a BEP vendor with a snack bar in another state office building. �� Patche operates through incredible organization, employing some sighted employees, and with the assistance of a consultant. The consultant helps her with displays and new ideas that might make her business more profitable. ����Employees will tell her if equipment needs to be cleaned or something is amiss. Customers also help out, Patche said, telling her if an employee "looks scruffy." But for the most part she's on her own, Patche said. ����"It's all-consuming," she said. "If I want to take a vacation, I have to find someone to work for me." The shops are profitable, but it's not quite enough to meet the Patches' needs. They still receive disability payments that supplement the business income for the family of five. �� That too, however, is a criticism of the program. Vendors don't have the incentive that regular business owners have to turn a profitthere's always supplemental disability from the government. But still many vendors need it. Among the state's 155 BEP vendors fourteen made in excess of $100,000 in profits last year. But fifty-three vendors made less than $20,000. ���Erin Treadwell, the spokeswoman for the state Department of Rehabilitation, said she's heard the criticisms, and in the past people have tried to revamp the program. But, she said, the minute that the department starts to tinker with the BEP program to make it more equitable or to make vendors more competitive, there's an uproar from the blind community.